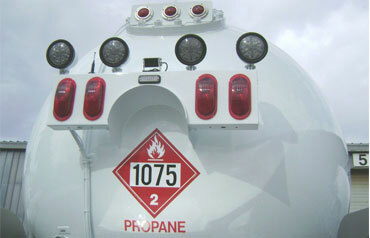 These are all optional features available on Arrow bobtails. If there are options that are not listed here but you would like included on your bobtail, just ask. Arrow can accomodate almost any requests. 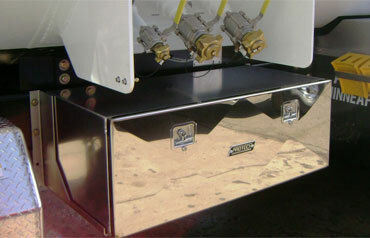 Underbody toolboxes are constructed from aluminum with polished stainless steel T-handle latches and locks. Doors are constructed from polished stainless steel and the interior is sealed from the elements. 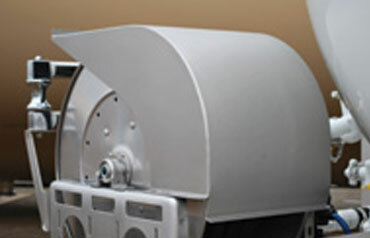 Stainless steel protective cover for the hose reel helps keep the delivery hose and hose reel components clean. In addition, it acts as a sunshade to help protect the hose from damaging UV rays. 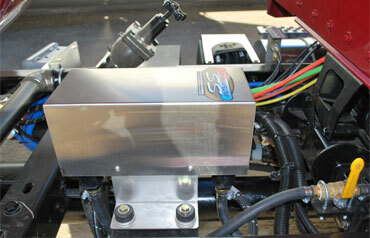 Hydraulic pump drive system is very compact and efficient with its mere 2.0 gallon fluid reservoir. 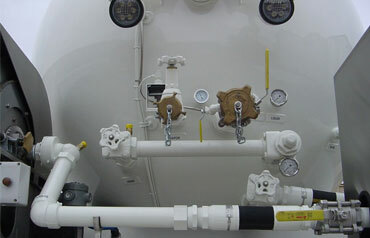 A heat exchanger utilizing propane makes it possible to maintain proper fluid temperature. 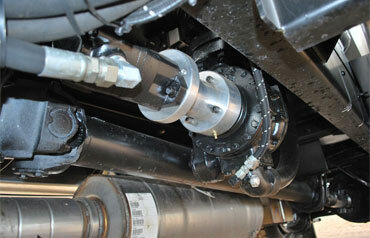 The hydraulic system eliminates the PTO shaft and assembly. 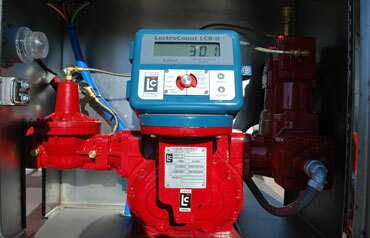 Performance improves due to the constant speed delivered to the product pump by the motor (shown on the right). Even the best PTO shaft system will inherently produce an oscillation effect that lowers performance and overall longevity. 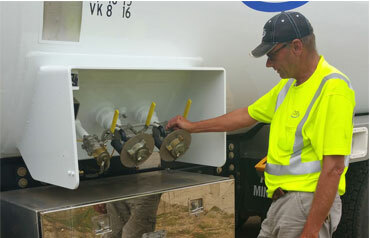 Additional benefits include improved safety due to little or no exposure of moving parts, reduced maintenance, fewer repairs, increased pump longevity, and cargo tank stabilization in some instances. Side fill is available with single or dual 3” spray fills. This option reduces the hose connection height by nearly 10”. Float gauge in front head conveniently provides the operator with immediate status of the load even while driving down the road. Register & laptop interface packages have pedestal floor mounts that include braces to provide stability in the most severe conditions. 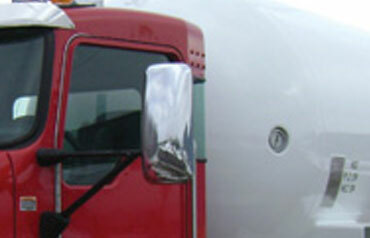 Strong and sturdy is critical for truck mounts. Jointed arms are not recommended. 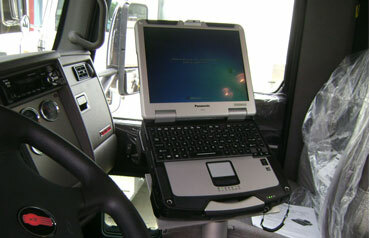 Vehicle port replicators are computer specific that offer a quick and simple way to transport your laptop to and from the truck cab. Universal trays are an economical alternative to port replicators. 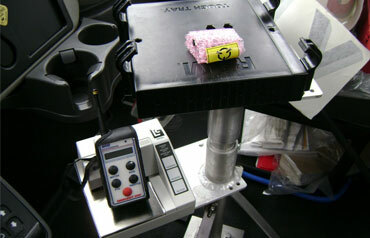 The tray provides a simple and reliable way to secure most any laptop in the truck cab. Power supplies are an extremely important consideration as well. 12v DC power converters should be used in lieu of 120v power inverters in every situation if possible. Rearview camera systems offer a solution to reduce liability and increase safety when addressing blind spot areas while operating your bobtail. 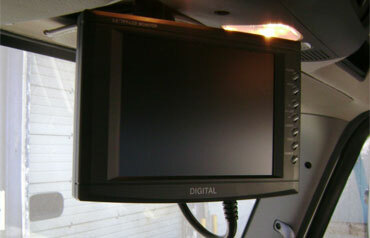 The 5.6” monitor includes a speaker with inputs for up to 3 cameras. 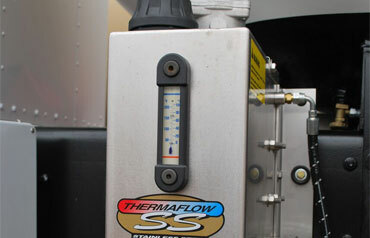 The heated camera is built with reinforced gaskets that allow waterproof protection even while pressure washing. The built-in microphone provides additional awareness to areas back of the vehicle. MID:COM electronic meter registers, on board computers and accessories are available for all brands and types of meters. 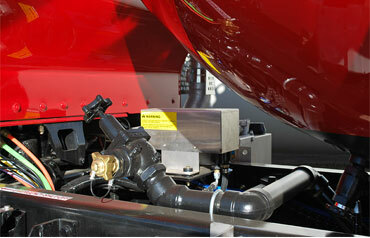 A 2-Stage valve provides accurate preset deliveries down to 1/10 of a gallon. Preset amounts can be entered via stand-alone systems or thru 3rd party systems. Other meter/ register manufacturers include Actaris Neptune Meters & Registers, Liqua-Tech Meters, and TCS Meters & Registers. Manual around automatic bypass piping permits self load or pump-out operations to be executed without flowing product thru the meter.